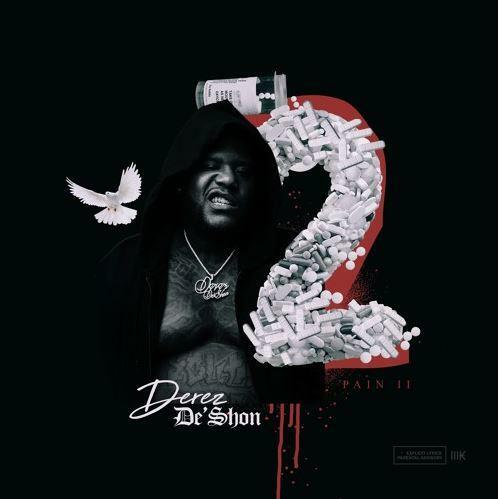 Derez De'Shon Gets It By Any Means Necessary On "By The Scale"
Home>New Songs>Derez De'Shon Songs> Derez De'Shon Gets It By Any Means Necessary On "By The Scale"
Derez De'Shon drops off his new track, "By The Scale." Derez De'Shon has been keeping himself busy this year. The success of "Hardaway" broke him into the mouth's of Southern hip-hop heads in 2017. By the top of the year, the rapper signed a new deal with Commission Music. Now, the rapper is getting ready to release his new project, Pain 2. The rapper linked up with Mozzy for "Waddup Doe" in November which followed the release of the YFN Lucci-assisted single, "Beat The Odds." Today, he comes through with a solo cut off the project, "By The Scale." Derez De'Shon is back with his latest track, "By The Scale." The track -- produced by DJ Chase and Will A Fool -- finds Deshon looking back at everything he's gone through in order to prosper through the adversities he's faced. Smokepurpp Offers Context On The Aggressive "Sauce Like This"
SONGS Derez De'Shon Gets It By Any Means Necessary On "By The Scale"